Arkansas requires permits to fish and hunt within the state. Hunting permits are generally not game specific, with a few exceptions, and do not specify how you must hunt, with a few exceptions. Persons found hunting or fishing without a permit may be fined or even jailed in some cases. Hunting and fishing licenses are issued separately in most cases. The types of licenses are broken into resident and non-resident licenses. In order to be considered a resident, you must have physically inhabited a residence within Arkansas for at least 60 days. Resident licenses are also available for students of Arkansas Universities and Arkansas students at out of state universities, active-duty military personnel stationed in Arkansas, and active-duty military personnel who were residents of Arkansas at the time of entering the service. Fishing licenses must be renewed yearly, with a few exceptions. The best deal for avid sportsmen is the Lifetime Resident Hunting and Fishing Sportsman's Permit. It's $1000, but gives you a lifetime permit to hunt and fish and waves special fees for trout, alligator, elk, etc permits (you must apply for these permits like anyone else, some are given on the lottery system). Residents aged 65+ can get a lifetime combined license for $35.50. Persons with disabilities can get a three year combined license for $35.50. A basic fishing license for a resident that allows you to fish with sport fishing tackle is $10.50/year. A trout permit is $5 on top of that fee. Persons with disabilities can get a three-year fishing license for $10.50. Residents aged 65+ can get a lifetime fishing license for $10.50. 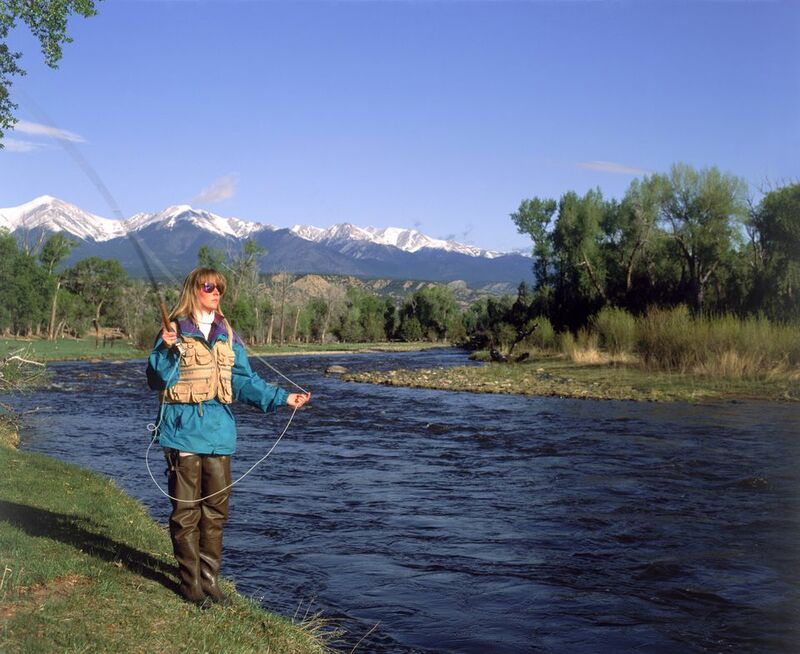 A basic nonresident fishing license is $50. A trout permit is $12 on top of that fee. Nonresidents can get trip fishing license ranging from 3 days to 14 days. Those licenses are $11-22. A Resident Sportsman’s License is $25 and entitles the holder to hunt all game species using a modern gun, muzzleloader or archery, and to take a total bag limit of deer. They are valid through June 30. Six deer tags and two turkey tags are included with this license. There is also a Resident Wildlife Conservation License ($10.50) which entitles the holder to hunt furbearers, migratory birds, quail, rabbit and squirrel and to take one deer using a modern gun. Residents aged 65+ can get a lifetime hunting license for $25 and a lifetime waterfowl permit for $7. Residents with disabilities can get a three-year hunting license for $25. To hunt waterfowl, residents and nonresidents must have a waterfowl stamp ($7 for residents, $20 for nonresidents), a federal duck stamp ($15) and Harvest Information Program registration (free). Waterfowl are duck, geese, doves, coots, woodcocks, snipe, rails, gallinules or moorhens. HIP registration can be obtained by completing a short survey at license dealers or any Game and Fish Commission office and will be noted on the license form. The Nonresident Annual All Game Hunting License is like the Resident Sportsman's License. It Entitles the holder to hunt all game species using a modern gun, muzzleloader or archery and is valid through June 30. Six deer tags and two turkey tags are included with this license and cost $300. Visitor's can also get 1 to 5-day licenses, which range from $50-150 and entitle the holder to 1-2 turkeys and 1-3 deer, depending on the length of the trip. A small game license for non-residents is $55 and entitles the holder to hunt migratory birds, quail, rabbits, squirrels, and furbearers. A waterfowl permit is $100 for non-residents. To hunt waterfowl, residents and nonresidents must have a waterfowl stamp ($7 for residents, $20 for nonresidents), a federal duck stamp ($15) and Harvest Information Program registration (free). Waterfowl are ducks, geese, doves, coots, woodcocks, snipe, rails, gallinules or moorhens. HIP registration can be obtained by completing a short survey at license dealers or any Game and Fish Commission office and will be noted on the license form. A hunter born after 1968 must carry a valid hunter education card unless ‘HE-VERIFIED’ is noted on your hunting license. Hunters under 16 do not need to have a card if they are under the direct supervision of a holder of a valid hunting license at least 21 years of age. Arkansas honors the home state hunter education cards of nonresidents. Call 800-482-5795 for a class schedule or Check the AGFC website. The Deferred Hunter Education License may be obtained once in a lifetime. It allows a person without hunter-education certification. It is designed for people who are at least 16 years old and born after Dec. 31, 1968; are in the immediate presence of an adult who is at least 21 years of age and possesses valid hunter education certification, or who was born on or before Dec. 31, 1968; possess a valid Arkansas hunting license; have not been convicted of or forfeited bond for prior violation of Hunter Education Certification Requirements, and are not under AGFC-sanctioned hunting privilege revocation. It's easy to get your hunting and fishing license. Arkansas processed licenses by phone, online or in person. Call 501-223-6349 between 8 a.m. and 4:30 p.m. or 800-364-4263 24 hours a day/7 days a week. You can also visit Arkansas Game and Fish. In person, most hunting and fishing supplies stores sell licenses. Even most Wal-Mart stores will sell you a license in the hunting department. Special permits are available for alligator, elk and Snow, Blue and Ross' Geese. There are also limited urban deer permits. Contact AGFC for more information about these permits. Weird Laws in Arkansas: Don’t Honk After Dark!